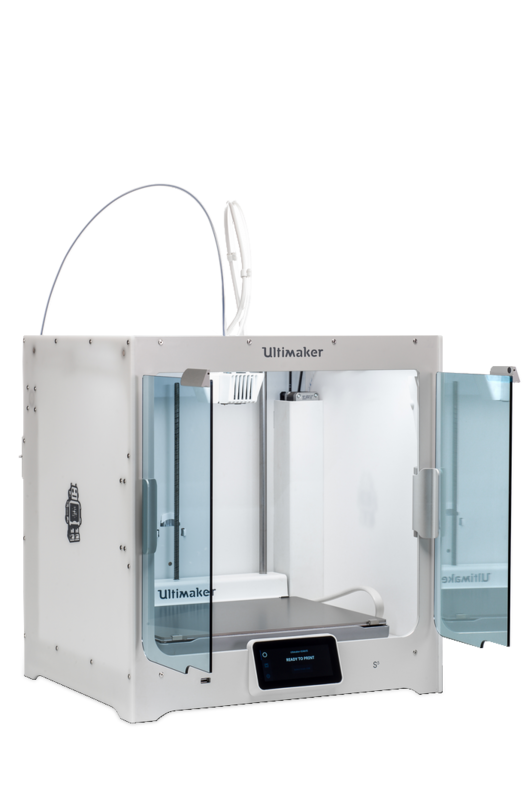 Ultimaker S5 3D Printer - IdeaTo3D - Buy it in Belgium here! 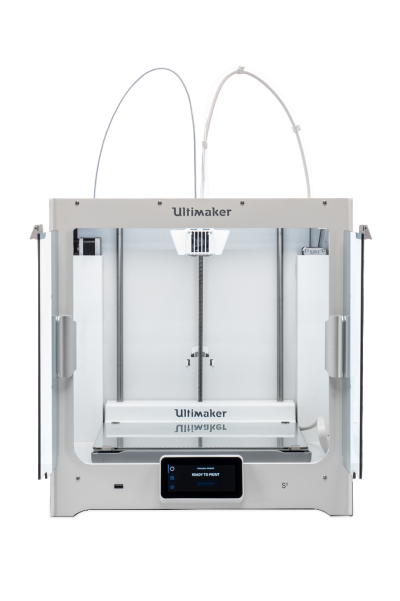 Meet the new printer from Ultimaker, the S5, the S stands for Studio as Ultimaker believes that this printer has it’s place in the office. 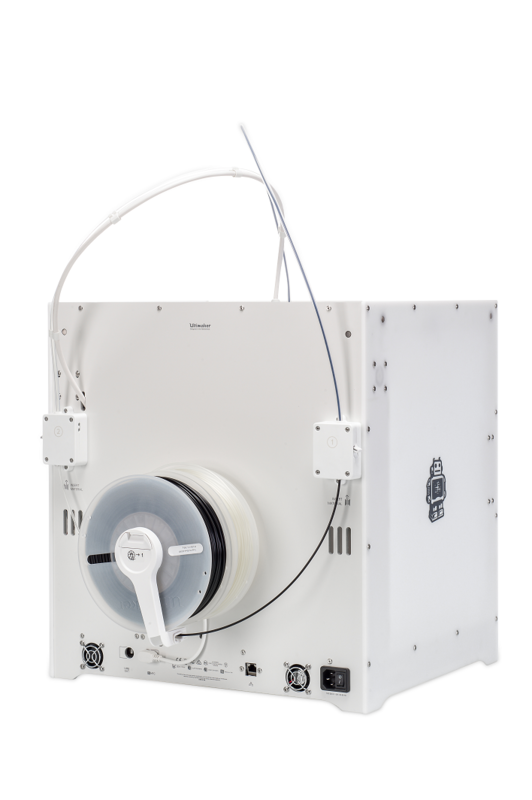 It’s build to be easy to use with the intuitive touch screen, and reliable with the filament flow sensor. 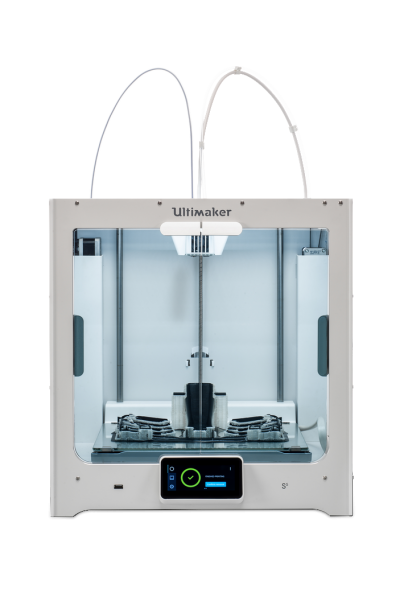 With the experience of the Ultimaker 3, the S5 features dual extruders with the now well know print cores and of course a bigger volume! Meet the new printer from Ultimaker, the Ultimaker S5, the S stands for Studio as Ultimaker believes that this printer has it’s place in the office. 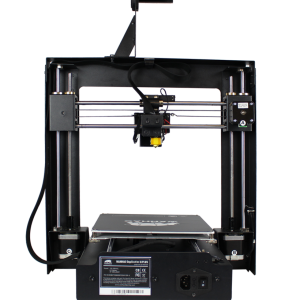 It’s build to be easy to use with the intuitive touch screen, and reliable with the filament flow sensor. With the experience of the Ultimaker 3, the S5 features dual extruders with the now well know print cores and of course a bigger volume! 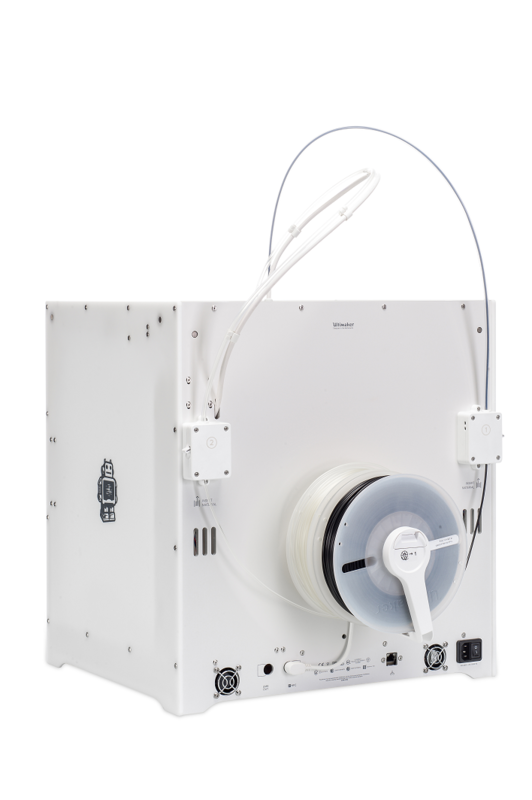 With a build volume of 330 x 240 x300m the S5 offers the biggest print volume of the family. To ensure a better stability of heat inside the printer it now features two glass doors. 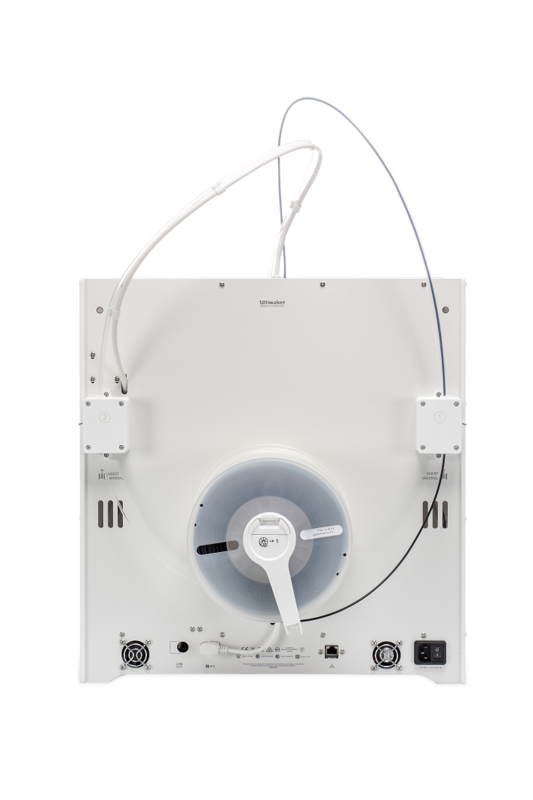 The 11.9cm touchscreen makes the whole printing process now even easier and more intuitive, the interface now also supports 11 languages including Dutch, English, French, German, Spanish and Italian. 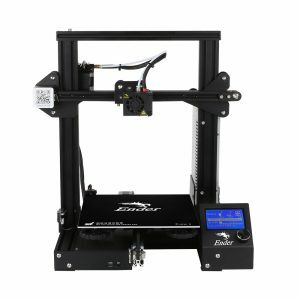 Adding a larger volume means that a lot of attention needs to be put in the bed, it now comes with a stiffer structure and to ensure better adhesion of the first layer, the bed is now calibrated using multiple points. 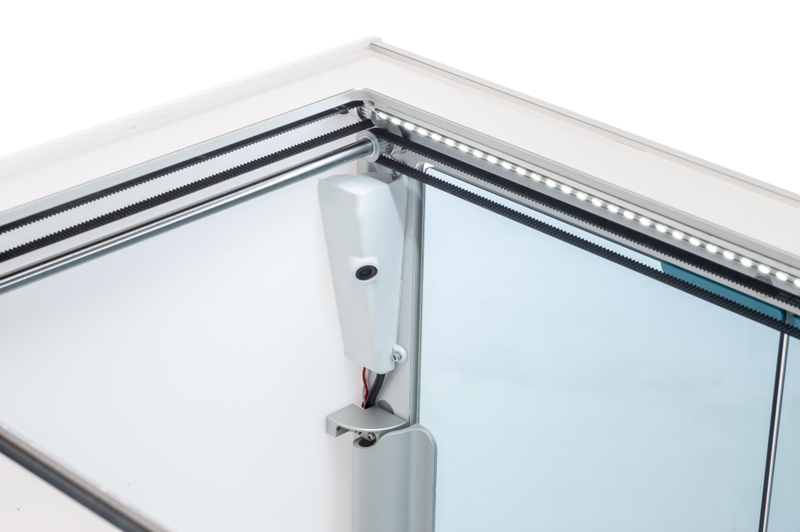 It now also comes with a new build surface made in anodized aluminium for industrial materials. 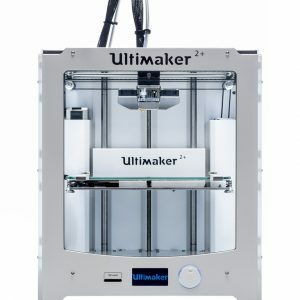 The S5 takes everything great about the Ultimaker 3 and puts it on another level, it uses the same printcores that have proven to be robust and reliable. They also offer different sizes (0.25mm 0.4mm and 0.8mm), the NFC reader automatically recognizes the installed material and the new flow sensor detects when the filament runs out. 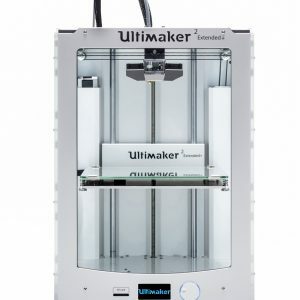 The S5 can be connected to your network by using the WIFI or LAN, by using Cura you can monitor your prints with the internal camera. You can also use the brand new app to do this and much more.